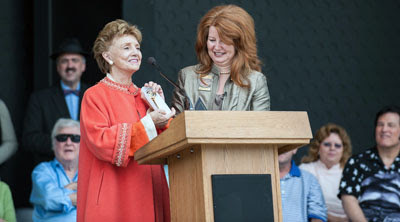 Emmy and Obie Award-winning actress Peggy McCay began her storied career more than sixty years ago. Her first continuing television role was in the CBS daytime soap opera Love of Life where she played Vanessa Dale. After starring in The Young Marrieds, General Hospital and numerous primetime series and films, she joined the cast of Days of our Lives in 1983. Nearly thirty years later she is still playing the fiery Caroline Brady. 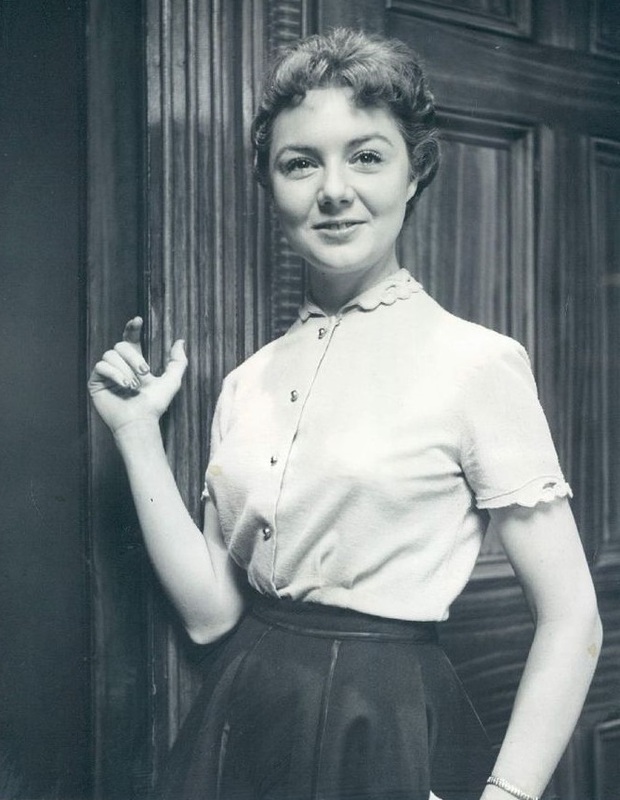 We caught up with Ms. McCay today to find out more about her connection to Andy Griffith, Caroline's Alzheimer's storyline, and to celebrate pieces of soap history from early in her career. WE LOVE SOAPS: Ms. McCay, how are you? PEGGY McCAY: I'm fine, Kevin. How are you? WE LOVE SOAPS: Great! Actually, really great. This is exciting - an honor really. WE LOVE SOAPS: Let's start this off with a bang. What are you able to preview for us about Caroline's storyline coming up? PEGGY McCAY: Well, they almost never tell actors anything specific. They do encourage you by saying you'll have a vigorous storyline. What it is has traditionally been a close-guarded secret. So I don't know what they plan to do with it, but of course, as you know, it's a progressive disease. However, there are, according to things I'm hearing, new ways of dealing with Alzheimer's. And I think it's very important, because when we have millions of viewers like we do, this issue is in their lives. I'm sure, some way, they were touched - their family or their friends - by this type of disease. WE LOVE SOAPS: Yes, many of us have had a loved one go through just what's happening to Caroline. Where are you drawing your inspiration from? PEGGY McCAY: Well, yes, I have had someone who died, and it was... it just took a lot of love and encouragement, and family support and all that sort of thing. To make sure that that person was respected and felt that they were loved. There are many things - I myself, when I knew about the storyline, I got the medical books out and read a great deal about it - and the prevention is very important. By using your mind (with crossword puzzles and mental games) and leading an active life, mentally and physically, as much as you can - it's a preventative for this disease. I've always believed that exercise is very important, but now I see that the brain is an amazing, plastic thing. Just a few years ago they discovered how the brain rebuilds its own paths! It's very encouraging, and I think that's the emphasis that I hope they follow here. To show how to work with it, and make it - to keep the damaging part off, as long as possible. WE LOVE SOAPS: Maybe it's a teaching moment? PEGGY McCAY: It is. That's one way the media, television, can be positive and help people. And I believe in that, I believe it has a tremendous influence on people. I love the writers because with Caroline Brady, they even upped her sense of humor in the midst of this problem. For example, in one scene, my daughter is reassuring me that everything is fine, and don't worry, and I turned away and I said, "Worry about what?" Then I looked at her and said, (she whispers) "that's a joke, that's a joke." These writers have given that balance to this very terrible disease, to give my character, at least, a sense of humor when trying to cope with it. WE LOVE SOAPS: What other changes have you noticed for Caroline, with this new team of writers? PEGGY McCAY: Mostly her sense of humor, and the fact that she and Sami - I enjoy that relationship tremendously, doing that. The fact that it remains so close and is important. I value that, I really do. I love to work with Alison [Sweeney]. I love working with all of them. We have very good actors on the show. It's really fun, and wonderful. If you look at my IMDB you'll see literally I've done hundreds of shows, most of them night time. I have an Emmy Award for night time. I've worked on three other daytime serials, but this group is particularly fun. Loving! I don't know, we get along, we enjoy each other's company every day. And that means everyone; makeup, hair, camera man, costume. It's just a great group. When I worked with Michael [Landon] on HIGHWAY TO HEAVEN, he always had that kind of atmosphere on his set, and we have it too. It makes the job fun. We all love doing what we do, but that adds to the pleasure of it - to enjoy each other and support each other. WE LOVE SOAPS: Now, I can't let you go without congratulating you on being presented with the Key to the City of Mount Airy, NC? PEGGY McCAY: I did one episode of Andy Griffith and it turned out to be one of the most popular episodes of all the years they were on. It was called "Class Reunion." And I came back to the class reunion, and it turns out I had been Andy's childhood sweetheart. They knew the lines! The people there knew my lines from the episode, they were the sweetest, most helpful people. I tell you, they're the best fans I've ever seen in my life. Andy has passed away and this was his memorial. It was this tremendous event, and I was so pleased that they so liked my work in that episode. WE LOVE SOAPS: We do a Today in Soap History feature every day and today's column included THE YOUNG MARRIEDS, another soap you were on. It premiered 48 years ago today! What do you remember most about that show? Peggy McCay starred in Love of Life. WE LOVE SOAPS: We are about to count down the greatest Dynamic Duos in soap opera history. The list includes best friends, bitter rivals, any two who are famously thought of as a pair. One of the Duos on our list is Vanessa and Meg from Love of Life. You were the original Van on that show. How would you describe her relationship with Meg? PEGGY McCAY: Well, she was made out to be a terrible lover, and person. And being perfect, as I was, I forgave her and got on with it, no matter what. I left that show after four years because Marcel Marceau was a friend of mine and he told me I had to do Chekov. So I went off-Broadway and did Chekov for $35 a week instead of my $750 a week salary on the show and I got an Obie Award. So I figured I was going in the right direction. I was following my dream as an actress. 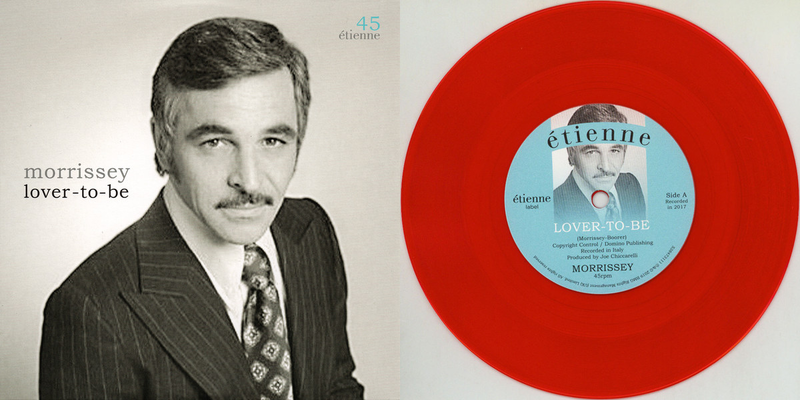 EDITOR'S NOTE: Our Dynamic Duos countdown begins on Monday. 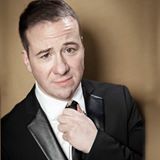 Kevin Mulcahy Jr. is a Harvard alum who is currently working as a staff contributor at welovesoaps.com writing theater and web series reviews as well as other in-depth features. Read all his Web Series reviews here. To contact Kevin, email kevin@welovesoaps.com. Watching Caroline deteriorate on DOOL, I find, will be very sad over the next few months/years! I've watched Peggy McCay's work in every area of television since the 1960's. I've never been more impressed with her work than I have been this week. The storyline is just heartbreaking because we have such an emotional connection. This is exactly the type of story that soaps should be doing, pure realistic drama. I look forward top this story, and dread it at the same time. 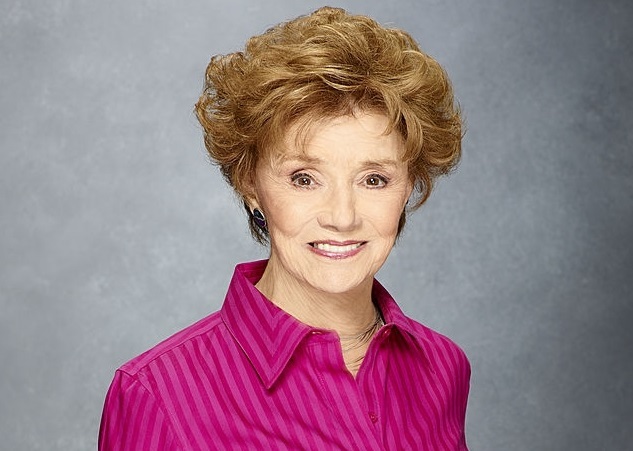 Is it too early to compile Peggy McCay's Emmy reel?